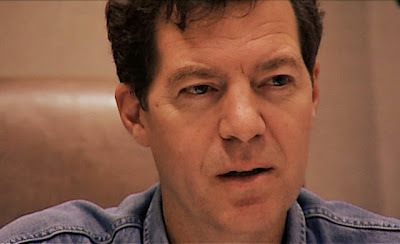 Sen. Sam Brownback, R-Kan. in "Sam in the Snow" - a man caught between a rock and a hard place. Photo furnished by New York Film Festival. “HOW Democracy Works Now” could not be more timely, considering the debacle going on in the nation’s capital. What shall it be termed, Shutdowngate? Ten in the series of 12 documentaries from Shari Robertson and Michael Camerini about the debate over immigration, dating to 2001, are having their world premiere at The 51t New York Film Festival. (See video below). Three screened yesterday and two screen on Saturday. Today, five are on the docket, including “Sam in the Snow.” It spotlights the then-Sen. Sam Brownback and current governor of Kansas. Considered a conservative, the Republican had some liberal views on immigration. He worked on the issue with the late Sen. Ted Kennedy, D-Mass. As their respective aides try to craft logical immigration reform, the George W. Bush White House is pushing to create the juggernaut that is now known as the Department of Homeland Security. In “Sam in the Snow," SB is presented as a man trying to do the right thing in the face of party and constituent opposition, as well as shifting priorities. Screening later today and on Saturday are “The Kids Across the Hill," "Marking up the Dream,” “Ain’t the AFL For Nothin’,” “Brothers and Rivals,” “Protecting Arizona" and “The Senate Speaks." Each series in "How Democracy Works Now" provides a glimpse of government that few see but should.